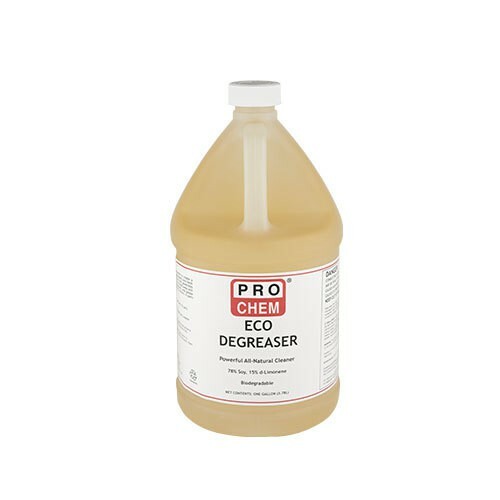 Eco Degreaser | Pro Chem, Inc.
ECO DEGREASER is an all-natural cleaner using nature’s power to clean and degrease even the heaviest grease deposits. It is a safe alternative to hazardous petroleum-based degreasers or harsh alkaline cleaners. It combines a variety of natural and biodegradable detergents and emulsifiers made from oranges and soybeans to produce a state-of-the-art cleaner that is as safe as it is effective. It utilizes an emulsifiable formula that penetrates deposits quickly, allowing you to rinse the dirt and residue away with water. 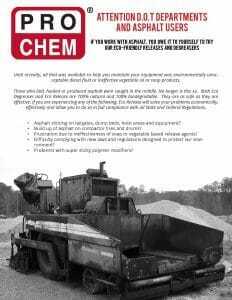 For heavy accumulations of dirt, grease, tar or asphalt, use undiluted. Spray onto deposits and allow a few minutes for solution to penetrate, then rinse with clean water. For parts washers, use undiluted through parts washer system. For light cleaning, degreasing and deodorizing, dilute ECO DEGREASER 1 to 20 with water.